This is a very large serial graphic LCD. 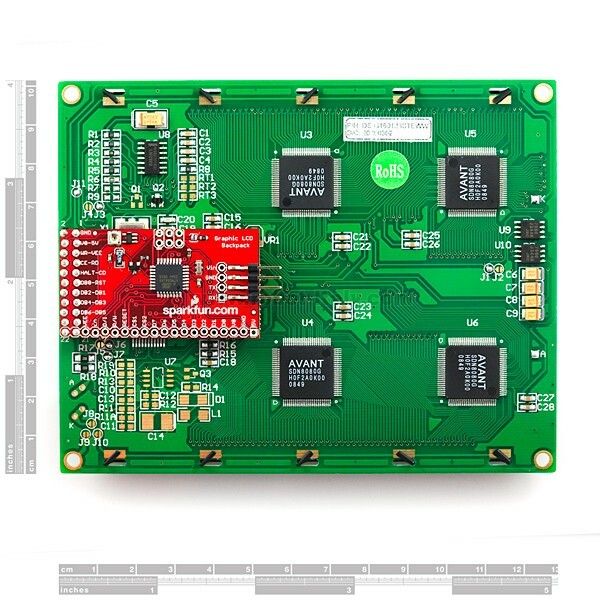 The Serial Graphic LCD backpack is soldered to the 160x128 pixel “Huge” Graphic LCD and provides the user a simple serial interface to a full range of controls. 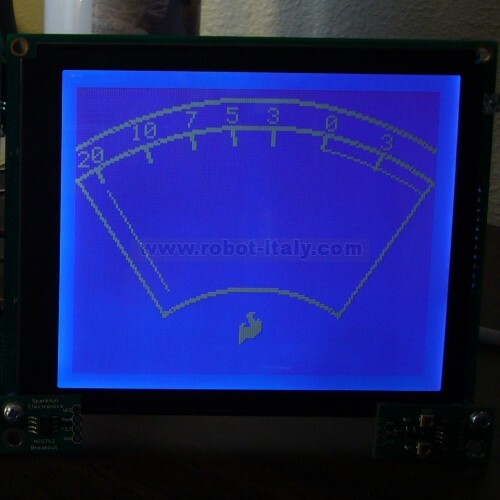 Besides writing text, this serial graphic LCD allows the user to draw lines, circles and boxes, set or reset individual pixels, erase specific blocks of the display, control the backlight and adjust the baud rate. There’s also a reverse mode that allows the screen to operate blue on white instead of white on blue. Additionally, all source code for the ATMega168 processor is compiled using the free WinAVR compiler and is free for downloading. 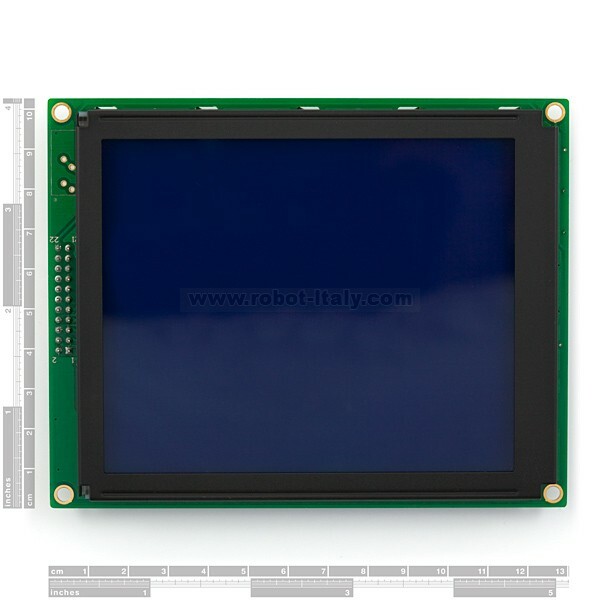 This is a big, really big 128x160 pixel graphical STN LCD. The LCD has a blue background and pixels appear white.